The new TracStar 900 Series 2 Automatic features a Cummins U.S. EPA Tier 4/EU Stage IIIB engine that burns ultra-low sulfur diesel making it cleaner burning, quieter running and more efficient than ever before. Fusion functions are controlled automatically with The Coach pendant which also has the ability to upload joint reports to the McElroy DataLogger Vault for safe storage, analysis and validation of pipeline integrity. Engineers made it easy to access the engine for maintenance on the TracStar 900 Series 2 Automatic by redesigning the cowling and rearranging the components under the hood. 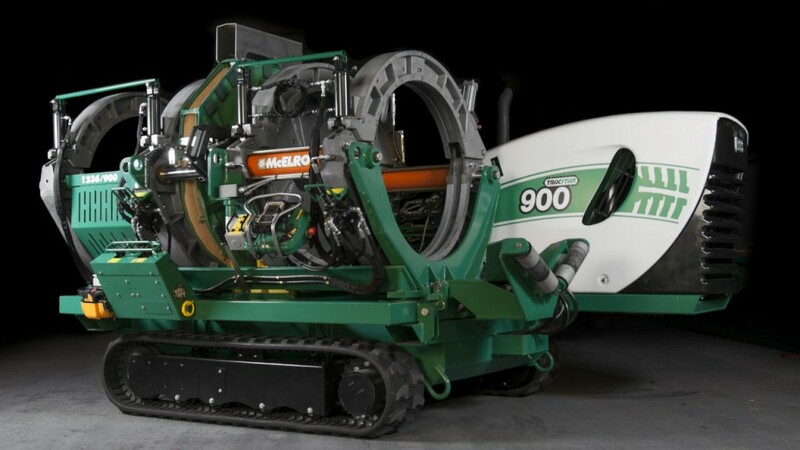 The machine fuses 340 mm to 900 mm (12-inch IPS to 36-inch OD) thermoplastic pipe in accordance with many of the international fusion standards and includes all of the ongoing features of the TracStar machines that have made them so reliable over the years. The all-terrain vehicle features rugged, rubber crawler tracks and is self-propelled via wireless remote control. It is also self-contained with an on-board generator for powering the heater. Hydraulic power assists the operator with all fusion functions including the operation of the jaws, pipe lifts, heater and facer. Low-, medium- and high-force machines are available. The TracStar 900 Series 2 Automatic is equipped with a clean-burning, near-zero emissions, ultra-low sulfur diesel engine. TracStar 900 Series 2 Automatic features a Cummins US EPA Tier 4/EU Stage IIIB engine. The TracStar 900 Series 2 Automatic uploads joint data to the McElroy DataLogger Vault for storage and analysis.